Bryson DeChambeau used a seven-iron from 180 yards and his ball landed well to the right of the pin before feeding down the slope and into the cup for a hole-in-one on the par-three 16th in the final round at the Masters on Sunday. 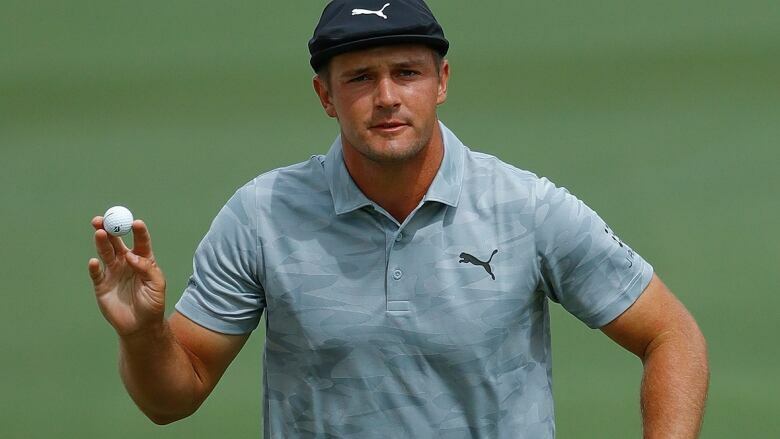 Bryson DeChambeau picked a good time for the first hole-in-one of his career when he aced the par-three 16th in the final round at the Masters on Sunday. The American, who shared the first-round lead at Augusta National, reacted with understandable delight as he hugged his playing companion Takumi Kanaya. It was the 21st ace at the hole during the Masters on the easiest of the par-threes, and the first this year. By contrast, there has only ever been one hole-in-one at the fourth, by Jeff Sluman in 1992. The 16th pin was in its traditional Sunday position on the left-side of the green, where the slope helps feed balls towards the hole.